What does that mean? Every Monday, the Unicorns post a sketch created by our talented leader, Alda Stevens, or by Design Team Member, Tammy Henderson. These sketches are hands down the best any where. Skeptical? Come see for yourself here and you be the judge. You'll thank me later. Anyway, after it's posted Monday morning, you have one week to give the sketch a whirl and upload your interpretation to the Flying Unicorn Mojo Monday Forum Thread. A gift card prize is awarded each week. So come and join us by clicking HERE. I was enchanted by Alda's sketch and had fun with it. I decided to play just a bit with some of the many many paints, mists and inks from the Flying Unicorn Store. I have been slowly accumulating them and now is the time to try them out. You can try some too with that sweet gift card to the Unicorn store when you win! First up, 13Arts Mists that came in the February Kit of the Month. Then I used some Lindy's Mists, Splash of Color Silk glaze, and Shimmerz Spritz. 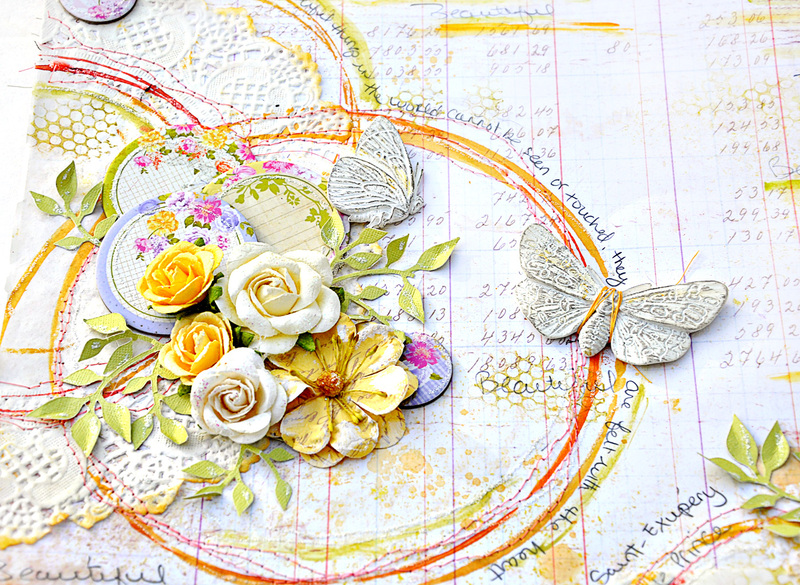 I sprayed some mist on my craft mat, then made my circles on the page with a dinner plate dipped in the mist. Like a giant coffee or beverage ring - mine is just dinner sized. Do you ever feel like being carefree and writing or doodling on your page but fear your handwriting will make a mess? Or even worse, what if you hate it after you are done - or the pen stops working or you hate the color marker you chose, or it bleeds on the paper, or a million other things that make a page go wrong...Gosh if only you could be impulsive for but a moment. OK READ on! "The most beautiful things in the world cannot be seen or touched , they are felt with the heart." I used a pencil to write on my page. This way I can make all the mistakes I want and erase. I can also write softly or boldly with pencil. I choose. With ink and marker, you have no control. IMPORTANT - make sure it is a decent gum or artist eraser. No - never use that little eraser on the end of your pencil. Don't even look at it or think about it. You'll make giant black smudgy things on your page and then you'll give me the stink-eye. Now I have the power to be fearless with my pencil. After I am done with the page, I spray it with a sealant or fixative to prevent smudges. Sealants can be bought anywhere in the art sections and look for matte finish. 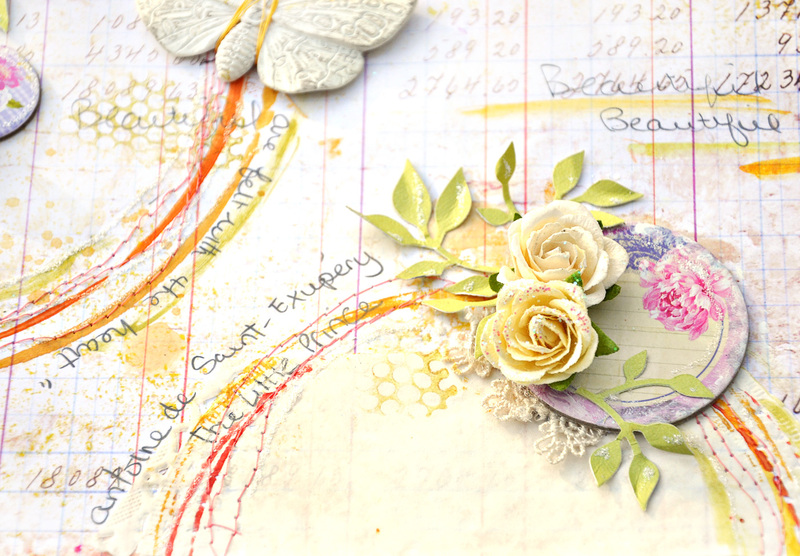 The papers are from 7Dots - Domestic Goddess Collection and the embelishments and resin Butterflies are from Prima Marketing. 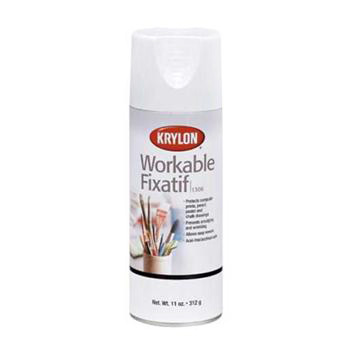 This is an example of a fixative that you can use. I'll leave you to google your options. Come and try the sketch at the Flying Unicorns and use your own supplies and stash...no obligations and no supply requirements. You can find this piece in my ETSY shop by clicking HERE. Thanks for stopping -I value your time. LOVELOVELOOOOOOVE your circles! They look absolutely stunning...& pencil writing is the WTG I reckon!!!! Jennifer I think it turned out simply sensational!!!! Let's see how I brave my pencil!!!! Gorgeous! 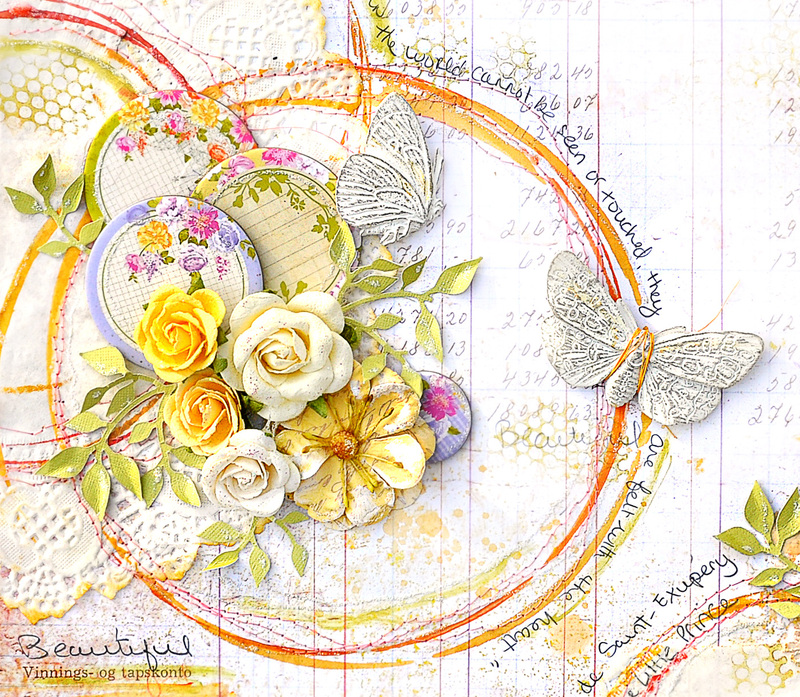 Love the bright, vibrant colors and the circular shapes! 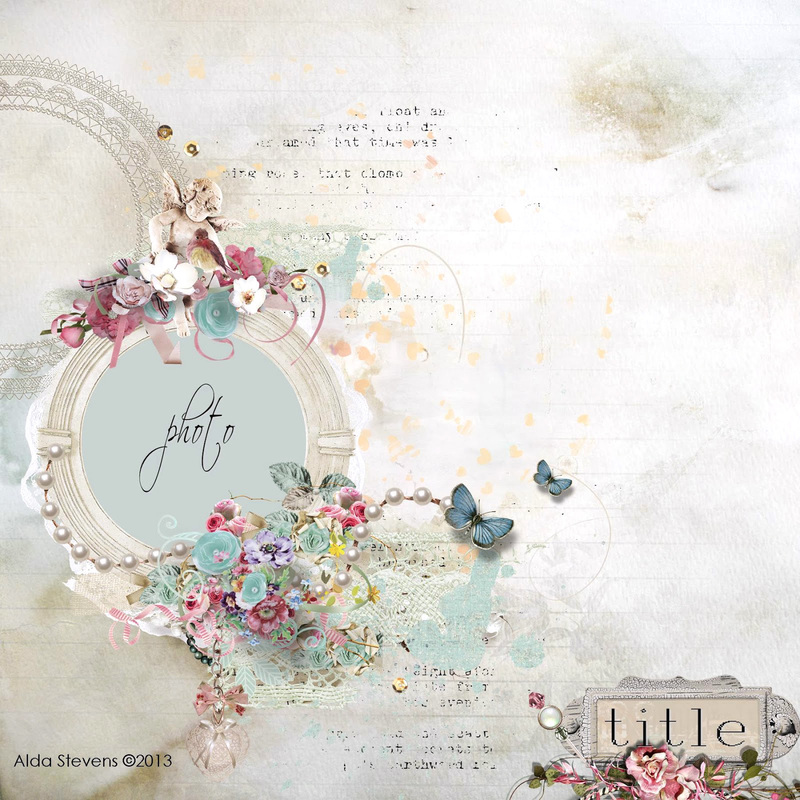 Thank you for joining the 7 Dots Studio challenge! Jen; this is just stunning!! 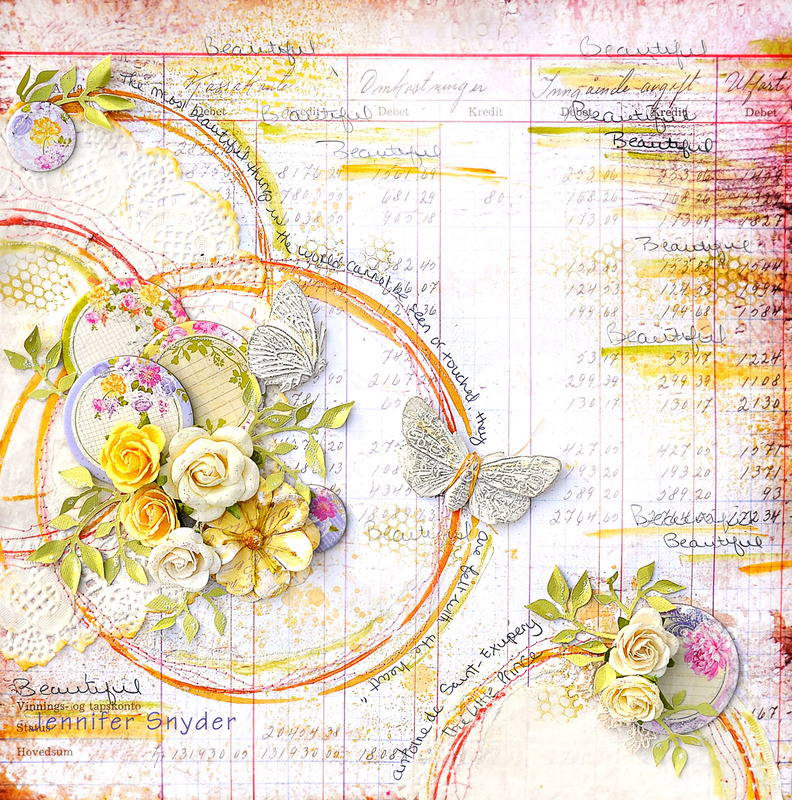 Love the colors and all the circles! And I love all your handwriting!